What if you could have better looking skin – safely, affordably, and quickly? You can, with the first FDA-cleared microneedling device, SkinPen, now available at Senara, in Peoria, Illinois. Results in as little as 3 treatments, for the face, neck, or decollete. 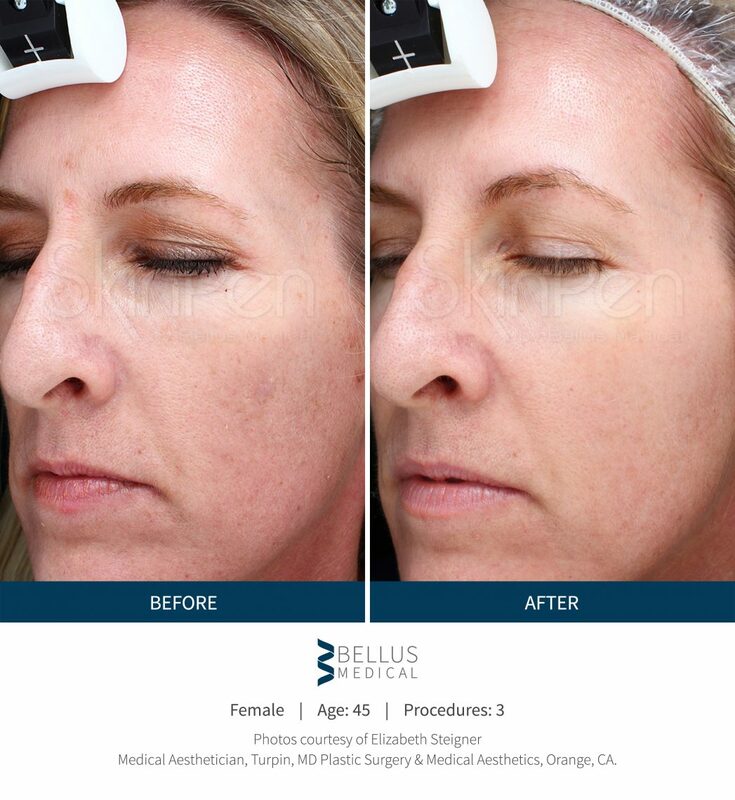 MicroNeedling and PRF are both minimally invasive procedures performed in-office that promote natural skin rejuvenation with little downtime. Senara is proud to use the SkinPen device for our microneedling procedure, as it is the first FDA-cleared microneedling device. SkinPen sets the industry standard for safety. 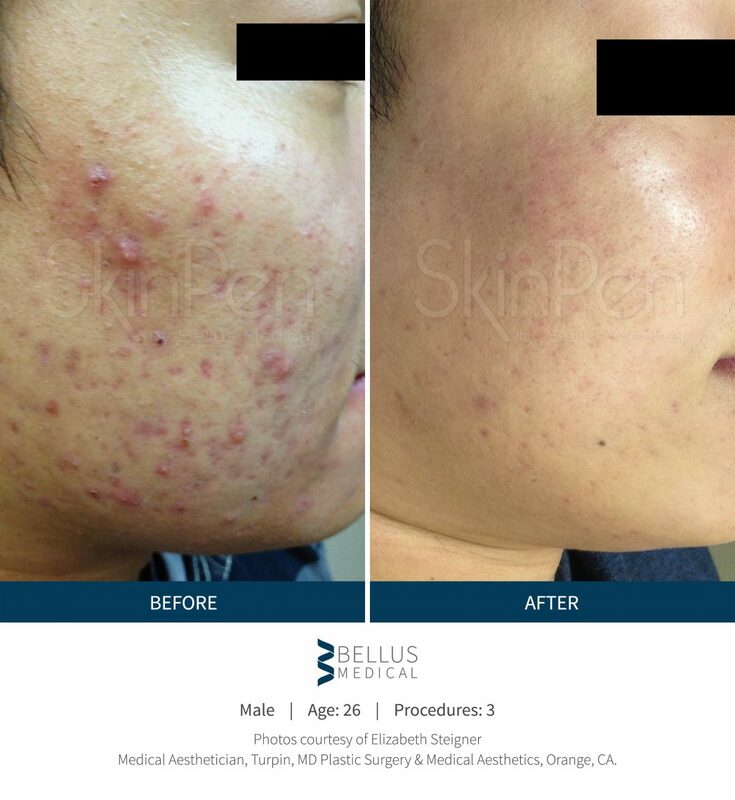 And unlike dermaroller microneedling procedures, the SkinPen allows customizable depths of skin penetration. This means better results for your skin! The microneedling procedure with SkinPen creates controlled micro-injuries to the skin. This stimulate the body’s natural wound-healing process, while minimizing cellular damage. As the skin heals from these micro-wounds, new collagen is created and scar tissue is broken up. The result is a smoother, tighter skin tone and texture. Old scar tissue is remodeled while keeping the overall structure of the skin intact. PRF (Platelet Rich Fibrin) is a growth factor rich substance derived from your own blood to promote skin rejuvenation. Similar to PRP (Platelet Rich Plasma), the Fibrin is extracted via a simple blood draw that is then spun in a high-speed centrifuge to separate the blood’s growth factors. Commonly referred to as “the vampire facial,” the PRF can be used as a masque during your SkinPen MicroNeedling procedure or can be injected directly in to the skin for enhanced anti-aging results. Results are long-lasting, too! Unlike most alternatives, SkinPen has been clinically shown to be effective for women and men with skin ranging from light to very dark. Likewise, SkinPen’s mechanical process is less abrasive than harsh chemical peels. In addition, when you properly space treatments that are overseen by a physician, the procedures can be administered year-round. Yes, by design. SkinPen’s patent-pending – and single-use – sterile needle cartridge is built with safety in mind. SkinPen is also surrounded by a proprietary BioSheath that acts as a barrier to prevent cross contamination between procedures. Safety measures like these are part of the reason SkinPen is the first microneedling device cleared by the FDA. WHAT SHOULD I EXPECT POST-PROCEDURE? I DON’T LIKE NEEDLES. ARE THERE ALTERNATIVES? The needles use in the SkinPen are not visible to the patient during treatment. The technology is is really amazing! If you don’t like the thought of needles, though, we get it. Senara also offers Sublative Laser Skin Resurfacing as an alternative to microneedling. Your Senara medical provider will review the best treatment options for your skin with you.